DescriptionKanra is around the stump of Riverwood sawmills. Kanra is the essential follower, it does not die.It is a count of a human follower, if you would like to take another follower, please use a multi follower mod. Meal Kanra can eat a food. Equipment You can get devil mask for Kanra, let's type console command. InstallationSKSE and Fuz Ro Do-h - Silent VoiceCopy contents of the package to your Skyrim directory.Need to save and then reload this data. Uninstallation Type StopQuest zzzDialogueAdoringFan in console, save and delete files. Voice Not included. You convert your own files. Extra Adds a unisex hair for the player. Run Wrye Bash.Select the mod in the Installers tab of Wrye Bash and then drag and drop the FasterTransform.7z file.When asked if you want to copy or move, you chose either one.Right-clicked and then select the wizard.Select if you need options.Check the Apply these selections and Install this package and then press the finish at the end. Description This mod adds a series of special moves which consume Magicka. They are similar to "spell sword" abilities found in other games. I created this mod using only animations and visual effects found in vanilla Skyrim. My Goal The purpose of this mod is to improve the player's combat experience, like "TK Dodge" and "TK HitStop". It is an experimental mod. Finally, I will plan to create another mod whichplayer adds attack animation without magic before long. It also has some "special moves" which enhance normal attacks e.g. "Pursuit", "Shield Breaker" and more. See below for detailed descriptions. My Goal I used great horse mods before, e.g. "convenient horses" and "Immersive horses". Call a last ridden horse Add "Call Horse" power when start a game. No fighting A last ridden horse is no fighting. Stable, almost no performance hit, compatible with almost mods.Not use an equip slot.The light has infinite duration.No make terrible face by the lantern light.If you use the face light and face light+, auto turn off it for compatible. If you turn off the light, turns on the face light. How to Use You can quickly use it after installing. Configuration It can be configured in the SkyUI MCM. Type of Light Source Choose one as a light source among lantern, magic, no effect. Brightness Choose one as brightness of a light source among normal, slightly bright, bright and wide. Long Press Set long press the activation key time. 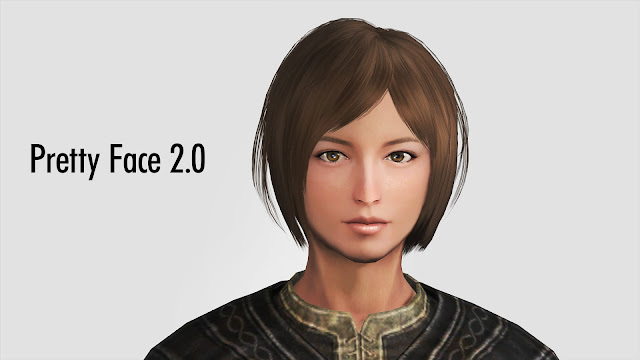 Features This mod modifies child faces for giving some variation. InstallationDownload from "Download with manager" button on Nexus. Press the "Activates the selected Mod" button. Select if you need options in Installer. Install optionsLanguage selection. English or Japanese.USLEEP patch.Disable/Enable sub surface map for glitch stripes in a face. If you do not use ENB, choose "No SSS".Changes Babette's eyes to vampire or nothing. Features When the player shot a bow or crossbow or staff, a "recoil" (a tiny pause) is added along with camera shake and blur effects. Mod customize menu You can customize each value, of weapon independently (read below) in MCM. Installation Install with your mod manager. 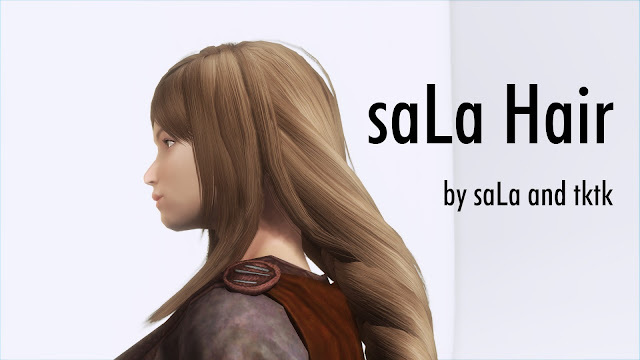 Feature This mod adds 30 hairs for women, 4 hairs for men. Not To doUpload old version.Hair creation request.Support HDT. We don't have 3ds max. You feel free to use hair data for your follower, NPC. But, you must write the credit(use the saLaHair) in your description. 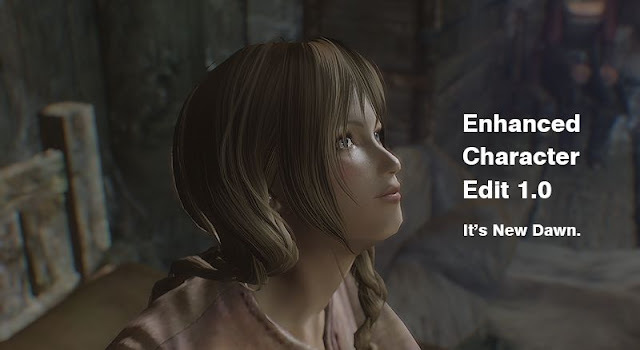 No need to contact authors.You are not allowed to upload this file to other sites under any circumstances.You are not allowed to convert this file to work on other games under any circumstances. Optional RequirementSKSE Needs to display makeup files at high resolution. If not used, those will be displayed at low resolution. Files "Pretty Face" only include female files.